Let me be honest. I am yet to see another format that gives you an engaging mix and clear command over storytelling and immersiveness as Dolby Atmos has. 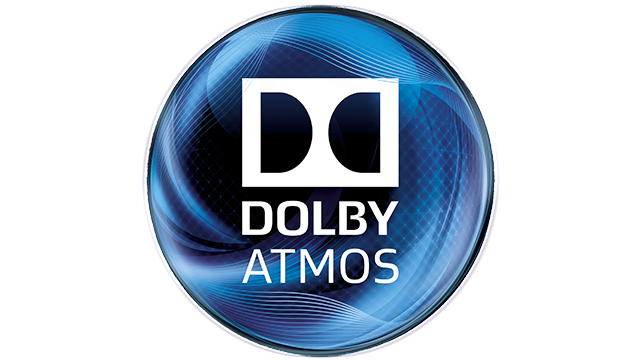 Over time, I have come to understand that there still are quite a few myths surrounding Dolby Atmos. From my workings with it and the way I understand, I will attempt to debunk the ones that I know are truly Myths. Why does this happen in the first place? I know that as film mixers, we aren’t the first ones usually to embrace a change in technology. Of course it will be exciting to do something and be the first, but then the question of where will it be played, what will happen to the final out come, will it take time, etc. will all come into play. This is also what sometimes hinders us from going ahead with it and over time we seem to develop our own myths and understandings of it. Designers on the other hand have more freedom to experiment. They can be sure that as they would work with responsible Mix engineers, the final out come will be taken care of. This allows them to be bolder. But it should not stop there. While I do agree that there are certain challenges the mix engineer comes to face, there always is an alternate approach to it. After all, who better can decide and manipulate tracks to make sure things are heard well? And who better than a person who takes a thousand decisions from small fader and eq changes to big sweeping moves and approaches! Here, I will list and explain some of the myths that I had in my mind initially, and also ones that I came across while talking to friends and colleagues, and at the same time figuring it out for myself. Myth 1: My film doesn’t need atmos. I won’t put anything overhead. This was a big statement and still is mentioned quite a few times. From my perspective and conversations, I have understood that the reasons usually given are it’s a musical, or just a comedy film, not an action film, nothing to put overheads etc. Basically, stating that for a film to be mixed in Dolby Atmos, it has to have content that can fly around. In all honesty, this isn’t true at all. Atmos isn’t about putting things overhead or panning things around. I have written much about how the format works and the technical details of it. But what it offers is a very high resolution for positioning sound. Imagine a restaurant scene and having all the elements of the restaurant placed exactly where it would be in the real sense. Or even it is a beach side; the sound of the waves can be placed in surrounds with the full frequency spectrum. If its just music, then imagine the beauty of having the score all around or as you wish to be placed without any change in timber or level. In fact, Atmos has a set of speakers that are called screen wide. The conventional surround speakers start after a space from the left or right stage speaker. The reason is to being a separation between them when you pan. The Screen wide speakers provide an object space to clearly bring sounds away from the screen and give space to the stage. This is what Atmos offers. My point? If you pan, you need Atmos. Period. Myth 2: My Pans won’t translate in the downmix. This was an issue for a very long time, and comes from the fact that there were not many theaters, and since one would be delivering the 7.1 or 5.1 mix, that would have priority. My suggestion is, you will have to hear the impossible downmix that the RMU creates. Let me explain. For this, we will need to understand the pan laws and what happens in the conventional mix. We know that conventional pan law states that for a signal to be placed in the center between two speakers, it has to be -3dB on each speaker. 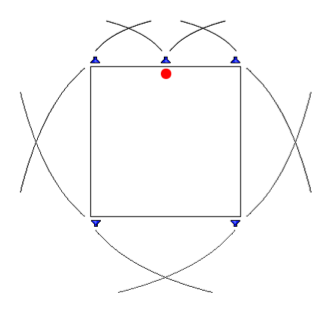 So basically, if we have a stereo field, and want the kick to be in the center, we place the pan pot in the center. What happens is the kick will be -3dB on the Left and -3dB on the right. If we pan it to the right then it will be 0dB on the right and –inf on the left. Of course there are variations that occur in a stereo pan law of -6dB, -4.5dB and -2.5 dB, but lets skip those for now as they relate to summing which we are not going to look into. If we extend this pan law into a 5.1 surround field, you will see that it acts the same between every speaker. So, left to center, center to right, right to right surround, right surround to left surround, and left surround to left channel. This can be shown in the figure below too. But what is the issue with the picture above? It all looks good on drawing and is technically right too. Well, the simple issue is that the left surround and right surround isn’t really a single point speaker. It is an array or a set of speakers. This means that when you look at the Pro Tools Pan window and pan towards the surrounds, the sound in the space isn’t where you are looking at in the panner. If you place a sound element completely in the Left surround for example, it would play back from the entire Left Surround Array. Meaning a bird or a footstep would become very wide. It doesn’t stop there. The pan law we just saw above works well for point speaker, but not between a point speaker and an array, as in the case of the Left and the Left surround. It gets even more complicated with divergence, percentage and cross-pans across the field. Now look at the objects pan. They pan across by interacting through each speaker. In other words, it’s called a pan through array. It does not suffer from any of this issue in the first place. Now, since the RMU has the pan information and can render this down, the down mix it creates will be a very specific one where it doesn’t rely on the conventional pan law. In fact it is a very advanced pan algorithm that can very closely replicate the Atmos mix. (This is my understanding of it.) This is also why I say that you can’t achieve using a conventional panner what is possible with the Object panner. They will sound different. The Atmos downmix will give you a much better sounding mix. So, my suggestion always is, it doesn’t matter if your final delivery is going to be in Atmos or not. If you do a native Atmos mix and take the down mix, you already have an amazing positioning within. You can also read about some interesting routings I have made for my mix here. Myth 3: The surround levels are different in Atmos and conventional mix. My pans will be different. Or, I don’t end up pulling the panner as back as I would do before, since the surrounds are louder in Atmos. This is one I have heard although not quite often, but many times. Conventionally, surrounds are calibrated to 82 dB SPL and in Atmos it is 85 dB SPL. I had the same issue when I started doing the first Atmos mix back in 2012. (It was very early beta then). This has also confused some of my colleagues and myself initially. So if we used to bring the panner around 2/3rds before, it is only around 1/3rd now for the same effective sounding in the beds. (And you thought it would have been a good idea!) Well, one thing I can say is the only way to get around this is to get used to it. In fact, it pushed me to start listening rather than seeing my pan position. This incidentally is also one of the best things I like about atmos. You are mixing to space and not speakers. The number of speakers can vary. The other fact is, although conventional surrounds are low by 3dB, this is compensated for in the downmix for the objects. It means when you do a pan in the object and take the downmix, the difference of 3dB is already taken care of and you will have the mix exactly how you did it in atmos. Again, like I mentioned before, it is a fantastic downmix. And as a mixer, you always have the ability to tweak if you need to change as the RMU allows you to monitor in 7.1 and 5.1 modes too. Myth 4: My surrounds in a conventional theater are not full range. So if I mix in Atmos I wont be hearing it correctly for the majority of the theaters. The way Atmos achieves the full range surround is by bass managing it. This is a very intelligent bass management system that sends the low frequency signal based on your pan to the surround LFE. One thing the down mix offers, as an option is to have the bass in the surrounds routed to your subs during the downmix. This allows you to still maintain the low end during the pan. I generally don’t pan low heavy elements unless it is really required. If they are needed, like for example gunshots or explosions, then I would have the downmix bass management engaged after listening to it. In most cases I figured I leave it off, unless it is really critical. But again, that is a personal choice and the RMU offers you the option to do it. Myth 5: It takes too much time and is complicated. Many sound designers like to get their tracks all routed and panned in 5.1 or 7.1. The initial issue was to get some of them converted to objects and maintain the pans they used and did painstakingly. I had made some scripts that will do exactly this. It takes the clip and puts it into an object track you designate and copy the pan across to the Atmos plugin. Another script I made converts the spanner pan into an object pan. Both these save a huge amount of time when it comes to workflows like this. Is it complicated? No not at all. If you are a film mixer or designer, it doesn’t change considerably from the way you work. 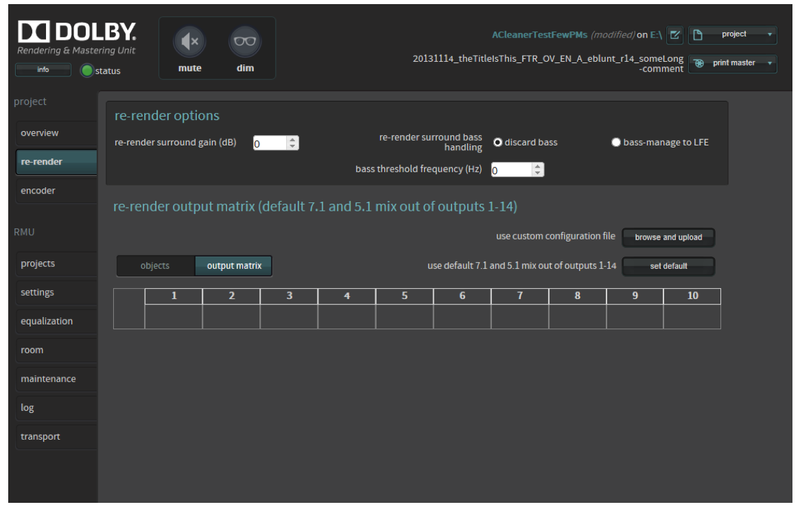 Working on a console and in the box will have its differences and will have different workflows. But all that I have written is primarily in the box. The approach for a mix and the philosophy doesn’t change if its Atmos or 5.1. What changes it the technique and resolution. That is really not a time consuming factor. 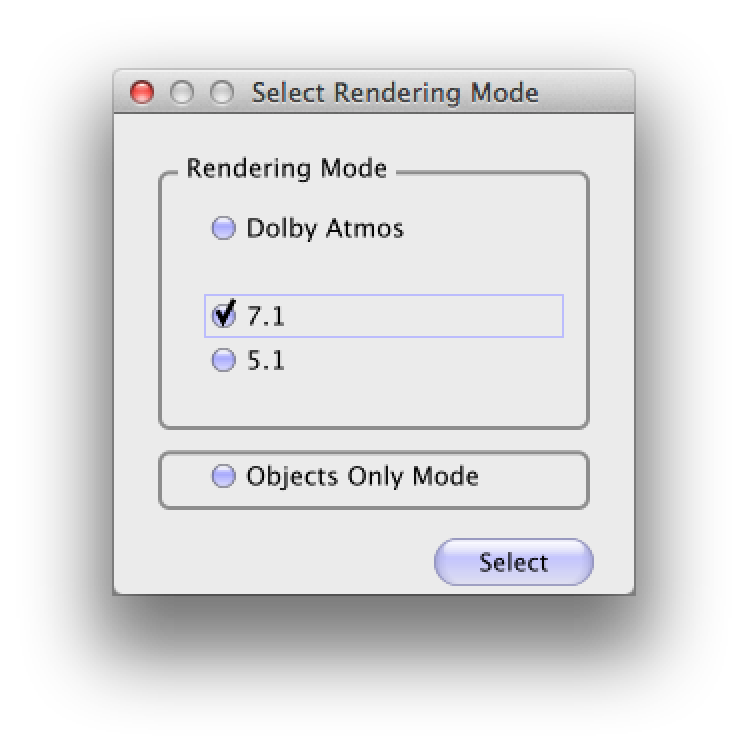 But to aid this, Dolby does have the local renderer, which is like a mini RMU within your system. This allows sound editors to have their pans set up in the Atmos panner itself and so you don’t lose time when you reach the mix stage. Not sure in what sense! Setting it up? Well, not really a huge expense I would think unless you are aiming for a premiere certification. Licensing. Maybe Dolby can answer that! In my personal opinion, the flexibility and elegance this format offers is really something that can truly immerse you in a mix. It is really easy to bring the audience into and take them through the story with this format. If you mix in surround, my take is, you would be better off doing it in Dolby Atmos. It definitely has changed my mixes to a much better level. But don’t forget that the experience of Atmos is not limited to theaters. It is available as a Blu-Ray too! Hello there, Thanks for an excellent article on Atmos. But I have a question. Can I do a Dolby Atmos Mix for my Music Album and release as a Blu-ray Audio ? Thank for your help in advance. Cheers. Yes you can but not as BluRay Audio I think. It does need to have video to be encoded as far as I know. Thank you very much for taking time to reply. I have one more question please. If I mix my music album In Atmos, can I downmix it from Atmos to Stereo for a Stereo mix for CD release, entirely avoiding the conventional Stereo mix ? Is technically right? Thanks again for a great help and education you are giving us through your awesome posts. You can do a downmix. But the way all the elements Interact and how it sounds will be very subjective for a CD mix.